We nearly missed our train. It was 9:50pm and my friends (a group of real fun bloggers I'd met for the first time) and I were running on the platform of Rohilla station in New Delhi lugging our backpacks along to catch our train to Kathgodam. We barely entered our compartment and the train began to move. Our sighs of relief were wholly dedicated to the kind (yes, there are a few) scooter-driving man who spared some of his precious time and drove ahead of us directing us through an alternative route to the station, cutting away from Delhi’s maddening traffic—a gesture that saved us a whole lot of money and disappointment. After this slice of adventure, a smooth ride till Binsar was the need of the hour. The chilly hour at the crack of dawn with the backdrop of tall mountains and deep valleys wrapped in alpine flora and fauna welcomed us into another one of Uttranchal’s gems. We were staying at Club Mahindra’s valley resort. I’ve realised that being independent deprives you of the pleasure of feeling pampered. At Club mahindra they seemed to have only one motto “treat your customers like royalty”. The service was amazing, I felt like a spoilt child; the attentive waiters at the restaurant remembered my every need and just after a day’s visit they even remembered my name! The friendly staff at the recreation centre even knew which games I enjoyed playing; it was unbelievable! 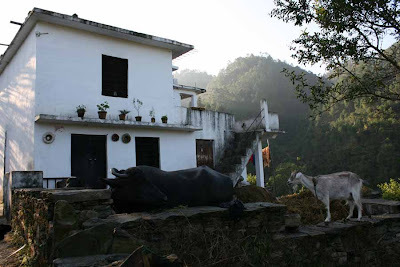 I highly recommend this resort if you intend to stay in Binsar. The next morning, to jumpstart the day, we decided to wake up early and take a walk atop a hill to view the sunrise. We gathered together at 5am looking for a sunrise, but God had other plans. The most unexpected scene lay before us—a constellations of stars scattered over a dark sky. It was a typical romantic night scene straight out of a film. We began climbing a tiny hill, with only the delicate light emanating from the stars illuminating our path, to find a place to lie back and witness the transformation of night into day. 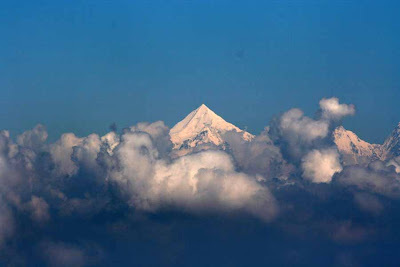 As the sun slowly began to come up, melting the darkness away, we got our first glimpse of Trishul. It was a surreal image; the pyramid-like snow-clad peak seemed to emerge out of its hiding place and as it rose it was bathed in the soft saffron glow of the sun’s rays. This was our first brush with the magnificent Himalayas. 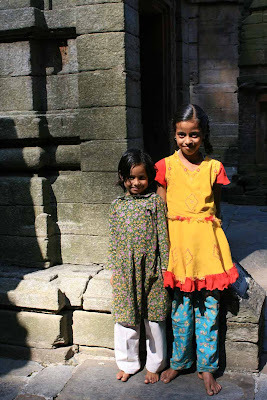 After a short nap and a heavy breakfast, we set off to revisit history at the Jageshwar temples. In school when I’d studied history and read about all those magnificent monuments and structures that existed hundreds of years ago I wished to go back in time and be able to see them right before me. 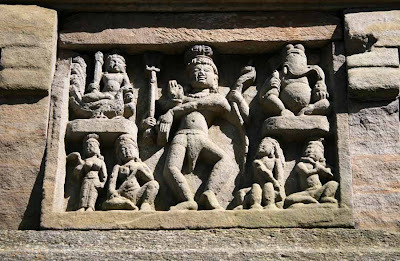 The Jageshwar temple complex exudes a similar feel in its ancient setting. 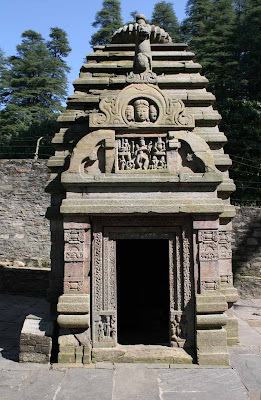 Almost 125 temples of different sizes with myriad inscriptions and intricate carvings co-exist in this complex surrounded by numerous tall deodar trees and a serene cold stream flowing by. Of the 12 jyotirlingas of Shiva found all across India, one resides here. However, the experience of feeling one with god amid a natural environment is ruined by the money-hungry pandits who chase you around and insist on doing a pooja with enthusiasm that dies out as soon as you walk away without paying a penny—all this in the name of god. Looking for respite from the chilly wind, we sat near a tiny tea stall and sipped on a cup of tea made over a charcoal fire instead of the usual gas stove. This aromatic and flavourful brew was distinctly different from the ‘cutting chai’ of Mumbai. A short while later hunger pangs had begun to grip us all, but luckily for us the resort had packed a delicious meal for us. We unanimously decided to have a picnic amid nature and picked a spot near a meandering stream. It was the perfect picnic spot, serene and secluded with the shade of trees and birds for company. The next day we set off to the place that put Binsar on the tourist map, the Binsar wildlife sanctuary, approximately 23km from the resort. A 10km drive through the dense oak and rhododendron forest reserve that houses leopards, wild boars, deers and a wide variety of exotic birds will lead you to the KMVN Guest House. 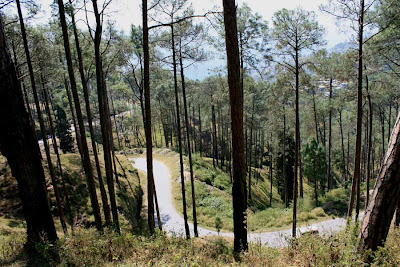 Just 100m from the guest house begins a 2 km rocky walking trail into the forest leading to the famed Zero point. At an altitude of 7,913 ft above sea level, Zero point lays out for you a breathtaking, transparent view of the magnificent range of the snowy Himalayas. It was a sight we fixed our gaze at in amazement—lost in the sheer beauty, the untouched purity embedded in one of nature’s most mystifying creations. Two hours passed by as we sat there silently, storing each moment into our memories forever. City dwellers like me have no idea what it feels like to be amid greenery, breathing fresh air, listening to the chatter of birds or be able to see snowy mountains so close. It has been as humbling an experience as astounding, and I wish I never had to leave. Club Mahindra is a good option if you’re looking to simply lay back and relax. 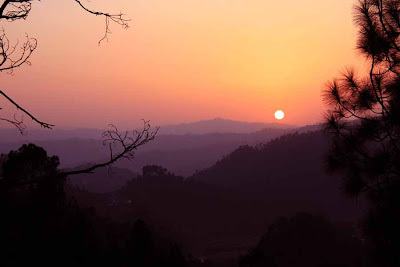 They take care of a wide range of outdoor activities in case you want to go to Binsar without any set plan of what to do. You can contact them on (05962) 253028 / 253062 / 253174 or visit www.clubmahindra.com for more information. Published in What's Hot, Delhi Edition, dated November 13, 2009. Thank you. My very sincere apologies that I'm only replying now. But I never got the intimation of this message. Sorry!